This project was completed within just a few short weeks. We started with a proofread of the supplied Word document and then designed a cover for Glenis that could later be used for print. What followed was a speedy ebook conversion and distribution to our usual vendors. Map Your Finances tells interesting anecdotes from the author’s personal experiences of investing over a forty year period. Her investments have included hands on management of small businesses, equities and real estate as well as self-managed superannuation. When it comes to personal finance, she has lots of tips for both the inexperienced and advanced investor. 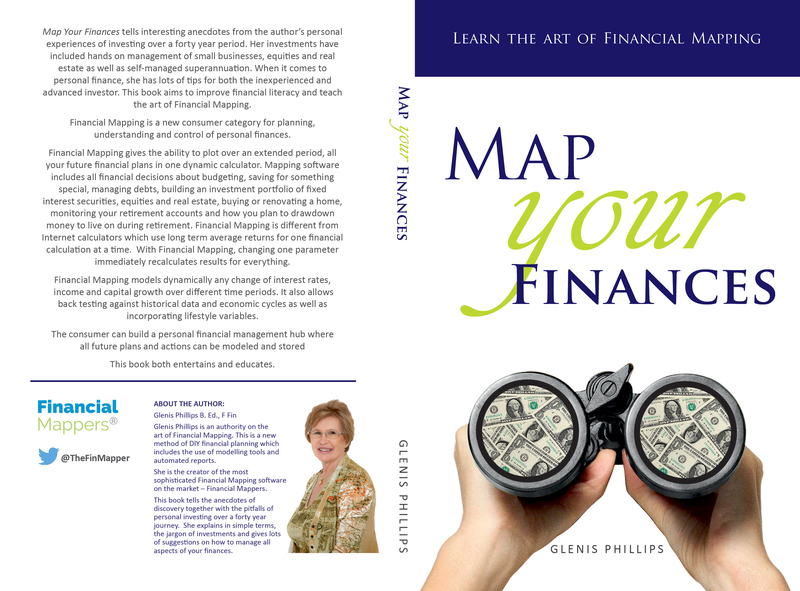 This book aims to improve financial literacy and teach the art of Financial Mapping. 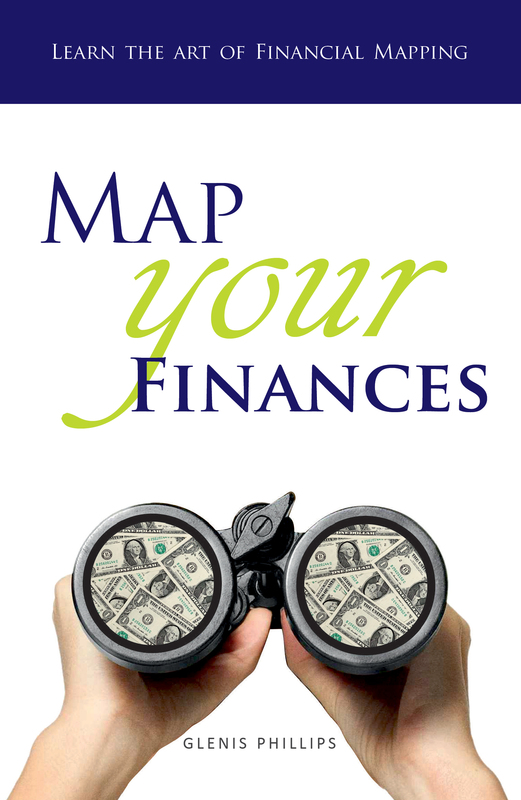 Financial Mapping is a new consumer category for planning, understanding and control of personal finances. Financial Mapping gives the ability to plot over an extended period, all your future financial plans in one dynamic calculator. Mapping software includes all financial decisions about budgeting, saving for something special, managing debts, building an investment portfolio of fixed interest securities, equities and real estate, buying or renovating a home, monitoring your retirement accounts and how you plan to drawdown money to live on during retirement. Financial Mapping is different from Internet calculators which use long term average returns for one financial calculation at a time. With Financial Mapping, changing one parameter immediately recalculates results for everything. Financial Mapping models dynamically any change of interest rates, income and capital growth over different time periods. It also allows back testing against historical data and economic cycles as well as incorporating lifestyle variables. The consumer can build a personal financial management hub where all future plans and actions can be modeled and stored. This book both entertains and educates. Glenis Phillips, F Fin, is an educator, investor and expert in both personal finance and mathematical modelling. Glenis Phillips has both a Graduate Diploma in Applied Finance and Investments and a Diploma in Financial Advising from the Securities Institute of Australia. She also has a Financial Analysis Certificate from University of Technology, Sydney. She has never worked in the financial planning industry and hence her approach is entirely consumer orientated. Glenis is the designer of Financial Mappers, enabling any consumer to create DIY financial plans or collaborate with their advisors. This is the definitive work on Financial Mapping for both Australia and internationally. Glenis is the designer of Financial Mappers, enabling any consumer to create DIY financial plans or collaborate with their advisors. This is the definitive work on Financial Mapping for both Australia and internationally.